If you are going to be traveling to San Francisco, California in the near future, try staying in a fully furnished corporate rental. All properties listed below include all furnishings, linens, towels, bedding, housewares, parking, capped utilities, expanded basic cable, wireless high speed internet, and domestic long distance all for one great price. 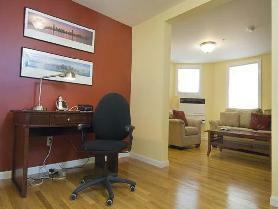 700 Square Foot Studio with 1 Bathroom in the heart of the Financial District. This swanky cool, brand new condo is a large, junior one bedroom featuring beam pillars, high ceilings, exposed brick walls, arched windows and uber modern finishes – located in the heart of the Financial District. The condo of 750-square feet boasts a private sleeping alcove with a queen bed and TV in bedroom, two large closets, hardwood floors, marble counter-tops (kitchen and bath), 42″ flat screen LCD TV in living room, Bosch stainless steel appliances and an in-unit washer and dryer. Tucked in a serene, brick-paved alley way, the street is reminiscent of a New England neighborhood. This building is flanked by office buildings and just around the corner from the Market Street corridor. Relax and lounge in the large, common roof-deck patio with outdoor furnishings, BBQ grill and zen fountain. A foliage filled open-air courtyard sits in the center, lobby level of the building. Walk-to-work or find mass transit options that abound just a stone’s throw from the front door: Muni, BART, CalTrain, Sam-Trans, GG Transit. 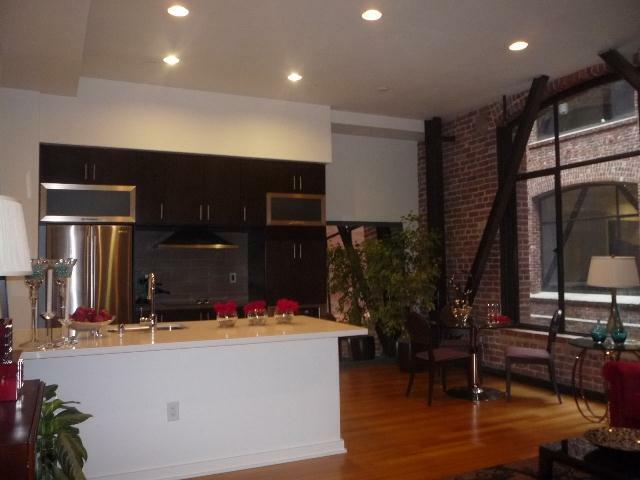 Walk to Union Square, the Embarcadero, North Beach and SOMA for the night and weekend life! The condo is an end unit, quiet and well-insulated. No parking, but various garage options available in the immediate area. To view more photos, maps, and information about this truly incredible property, please click here. 1 Bedroom/1 Bathroom Upgraded Victorian Flat in Pacific Heights. This property features one bedroom and a separate office space; hardwood floors throughout; Recently remodeled and includes modern appliances and private entry; 1 Parking Space included in 4 car tandem attached garage. To view more photos, maps, and information about this amazing property, please click here.